Life is a balancing act, and one in which everything is constantly in motion. Let’s face it, life can sometimes feel like walking a tight rope, with luggage on both your hands and your backside, walking towards a certain goal, or worse, in no particular direction. Life balance can sometimes seem elusive, and you may feel like you are not grounded, calm, level-headed and motivated. A balanced life simply means you’ve got a grip on all the important elements of your life, that is, your life and your work. It means you are not being pulled from all directions, constantly on edge and putting all kinds of fires just to keep going. However, having a balanced life not just about getting a handle on your life and your work, or the tactile elements. Finding balance in life also means that you are in control of your heart and your mind. Our wellbeing is, in fact, not entirely created from physical habits alone. Do you feel like you are about to tap out? Before you can take any actions, you’ll need to establish the situation as it is at the moment. An honest assessment of your life is the first step before you can begin to restructure it. Do you feel overwhelmed in certain areas? How do you think you are performing in, say, your relationship? In your job? Certain tools such as The Wheel of Life can help paint a quick but fairly accurate picture of where you are at. After only a handful of questions, The Wheel of Life will show you if your life is balanced or not and the areas that require urgent intervention. It is a common coaching tool used to reveal insights into how satisfied you are with your life and which usually forms the basis of subsequent action. On a scale of 1-10 (where 1 is not fulfilled at all and 10 is absolutely fulfilled), you rate your level of fulfillment on key areas of your life; family and friends, romantic relationship, personal growth, business or career, finances, and health. You will then have a graphical representation of your current status (see below example). That’s the sound of a big, sharp pair of scissors, cutting off all the non-priority demands on your time and mental headspace. The truth is that our modern lifestyles keep throwing activities on us and constantly demand our attention and limited time. To live a truly balanced life, you will always have to be trimming and cutting off things that no longer add value to your life. Say no to all the non-essential stuff, and be ruthless about it. And while you are it, cut off (as much as it is possible) people or activities that sap energy and vitality out of you. There are people whose interaction or just being around them, feels like you are inside a magnetic field that zaps all your energy. When it comes to life balance, the much-famed multi-tasking is not such a good idea. Doing too many things at once only means you have to spread your concentration over several tasks. Don’t be fooled with all the cute pictures on social media of parents holding a baby in one hand and replying to a work email with the other hand. If it is time to focus on spending time with your loved ones, then cut off everything else. It may not be sound like a novel idea to try out but the results are indisputable. Technology particularly has blurred the boundaries. We now seem to be into one big vortex of demands, with our lives and careers all mixed up. If you have trouble working out your priorities, you may want to consider working with a life coach. The fact of the matter is that we all need constant recharge if we are to keep functioning at our best. However, burnout is never far off, especially if you never get some regular downtimes. We all have different activities or things that recharge us. It might be some quality time with family, date night with your spouse, hanging out with friends, or even a particular hobby. Making a schedule for activities that recharge you ensures that they are incorporated in your daily or weekly programs. They become a part of your routine and you don’t have to struggle to find time for them. Followed closely by a good night sleep, exercise is one of the first things we drop when life and workplaces further demand on our time. We don’t even stop to think about it. You need to pump two more hours into work? No problem, just cancel your gym session or cut three hours of your sleep. This, of course, could lead to bigger health problems in the long run. Exercise improves not only your physical health but also your mental and emotional health. And since your health affects every aspect of your life and is the single biggest factor in your overall wellbeing and performance. A great support network can have a tremendous influence on good life balance. We are bound to hit rough spots once in a while during our life journeys. Sometimes it can be incredibly difficult to juggle everything without the support of others. Your support network may include family, friends, or even a personal life coach. Tap into your support network whenever you feel overwhelmed or can’t get a balance. If you could only do one thing in the world, what would it be? What would be the second thing, and the third thing, and the fourth? Setting your priorities might sound a well-worn piece of advice but is absolutely critical. Every now and then, we run out of resources, time, money, etc, to do the things we want to do. Having your priorities right means that you will always take care of your most important things first and they won’t have to suffer in case you run out of resources or time. Of course, life is not always perfect and things won’t always align themselves according to plan. But setting your priorities gives you a sense of balance and calm, comforting feeling that you are in the right direction. Balance is beautiful and if you are still wondering how to get your life balance, you can download The Wheel of Life and take the short exercise that will reveal your current level of satisfaction. This will then be your ground zero, and you can go on and craft new strategies to help you get your life balance. 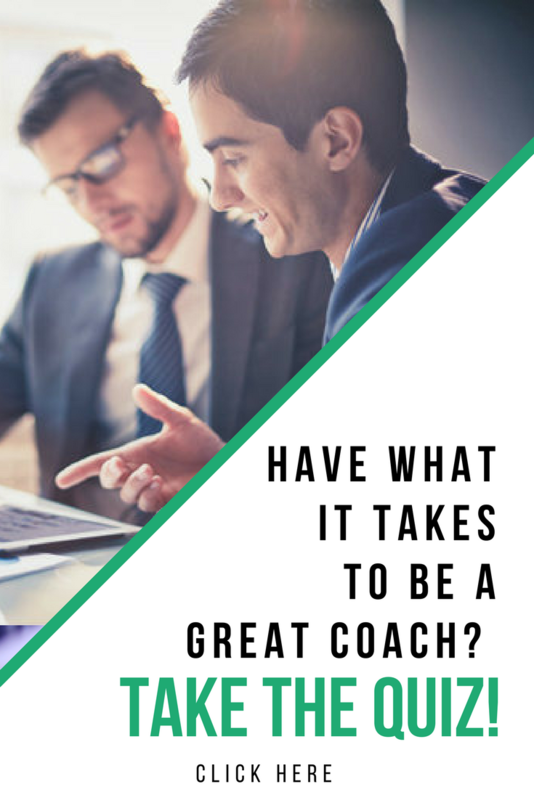 Is one of your goals to become a certified coach? If so, we have only 3 spots left for our BCC & ICF accredited Performance Coach certification course which starts on January 28th. It includes group coaching, tools to grow your coaching business and so much more. Stop saying “someday” and check off that goal this month by registering for our upcoming coach training. Visit PerformanceCoachUniversity.com to learn more. This entry was posted in Better Life, Emotional Intelligence and tagged business coaching, business tips, coaching clients, coaching tips, goals, goalsetting, good habits, Leadership Tools, performance coach, performance coach insights, performance coach university, planning, research, teaching tools. Bookmark the permalink. ← What’s the Difference Between Coaching and Counseling?